Bright is a 7.8% Imperial/Double IPA brewed by the Tree House Brewing Company in Monson, Massachusetts. I have tried many different beers from Tree House and they are always top notch. 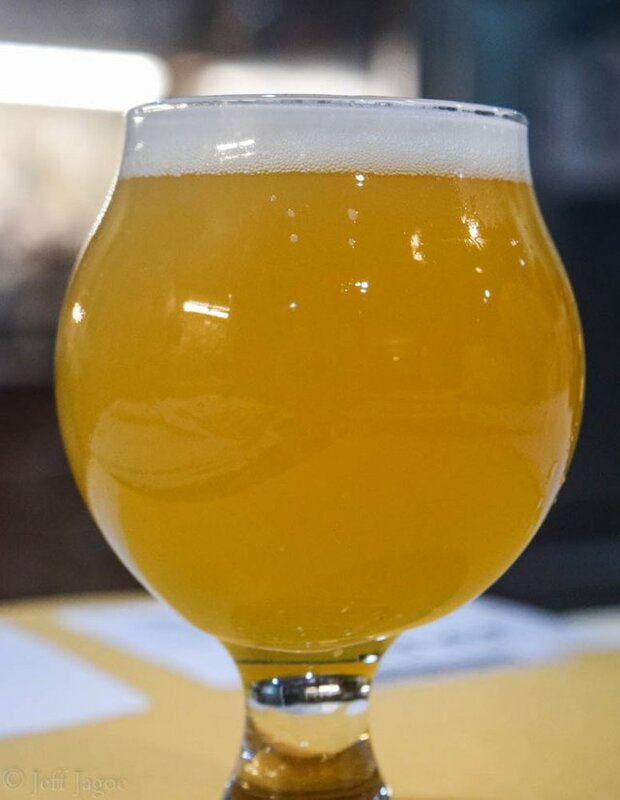 Tree House is a small batch craft brewer specializing in fine New England style IPAs. They do produce stouts, porters and a variety of other styles of beers, but the juice bombs like their Julius, Green, and Haze are what made Tree House become the legend that it is today. Unfortunately you can't find Tree House beers at your local liquor store, you need to travel to the brewery itself and wait in a long line in order to score any of this liquid gold. But it sure is worth it! 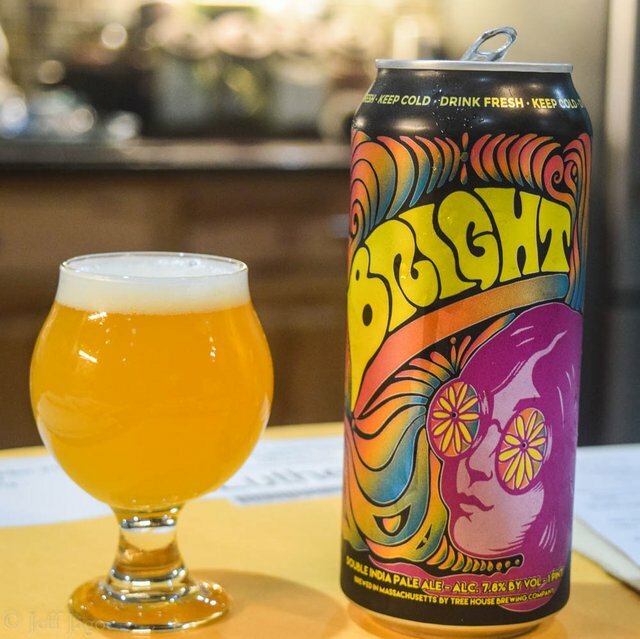 The Bright was created to be a clean and elegant showcase of Mosaic hops. 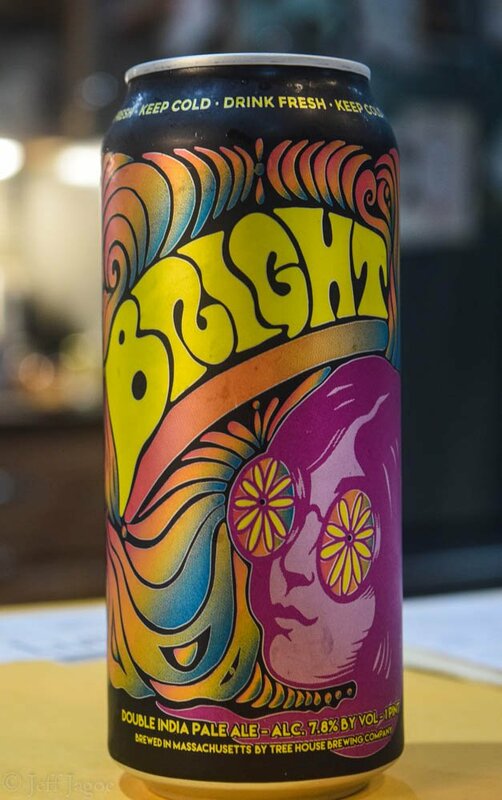 The Bright is served in a funky full pint can that takes you right back to the 60's. It has a black background with wavy rainbows. It features a face that reminds me of John Lennon of the Beatles with fruit slices over his eyes. 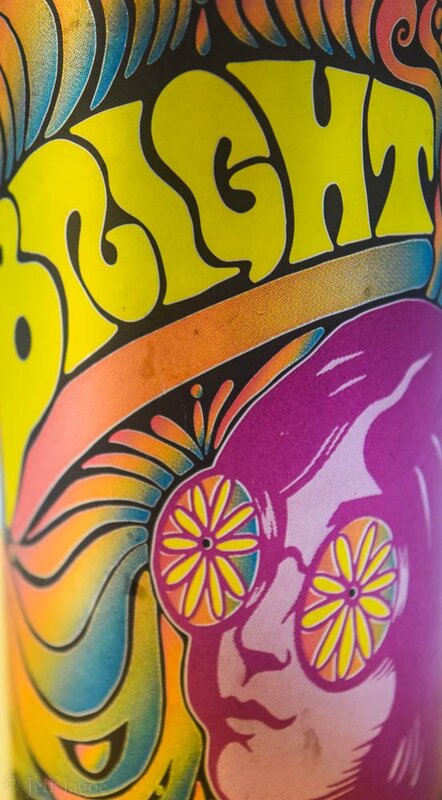 Overall it's a groovy, awesome can. The Bright is a bright, floral IIPA. It has a very citrusy aroma and looked almost perfect when I poured it into a glass. A bright yellow, hazy color with a soft fluffy head of foam. It had a dry, crisp yet fruity taste. A great IIPA that gives you a full tour of what Mosaic hops have to offer. I look forward to trying more beers from Tree House Brewing Company in the future. Been really enjoying all the beer reviews over the past couple months, and decided to add you to my SteemVoter. Keep up the beer reviews, cheers! Thanks @memesteemit! I really appreciate that! Have a great weekend! Thanks, same to you sir! Looks refreshing, can is very eye-catching, a blast from the past. Nice to know small brewers are still being sought after. Great beer, and quite a skillful pour. buen post! te dejo mi voto,un saludo! !